The American Cancer Society (ACS) is one of the leading organizations in the fight against breast cancer, the most common cancer diagnosed in women in the United States, aside from skin cancer. It is also the second leading cause of cancer death in women, after lung cancer. For more than a century, ACS has invested groundbreaking amounts of money for cancer research through donations, events, and outreach activities. 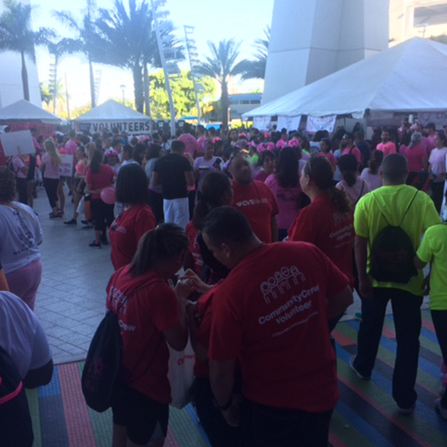 The Making Strides Against Breast Cancer Walk is just one of these efforts, which takes place nation-wide throughout the month of October, Breast Cancer Awareness Month. Today, through various research initiatives that have occurred thanks to ACS’s efforts and donations, more than 490 lives a day have been saved that would have otherwise been lost to cancer. But the fight is not over yet – not until a cure is found! 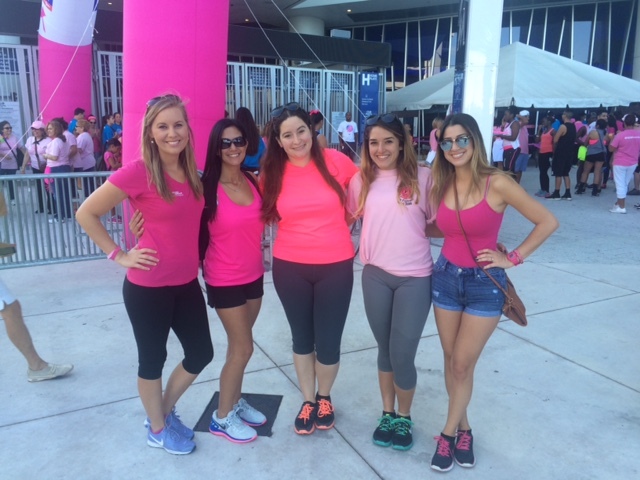 At The Corradino Group, we know the severity of the impacts breast cancer has on our society. Sadly, some of our coworkers and loved ones have been affected by this horrible disease. 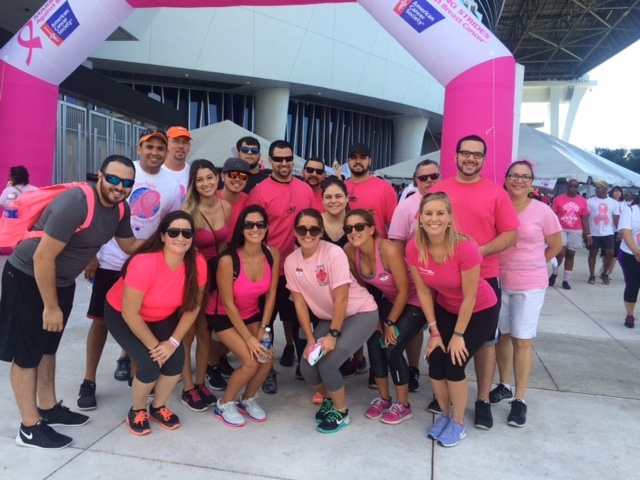 In an effort to show our support, our team participated in this year’s Making Strides Against Breast Cancer Walk at Marlins Park on Saturday, October 3rd. 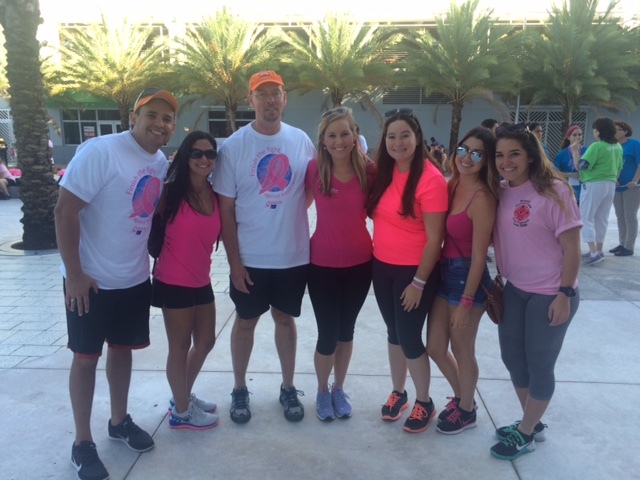 In the weeks leading up to the event, our team members, family and friends, raised awareness and collected donations for the cause. Together, we raised over $1,200! 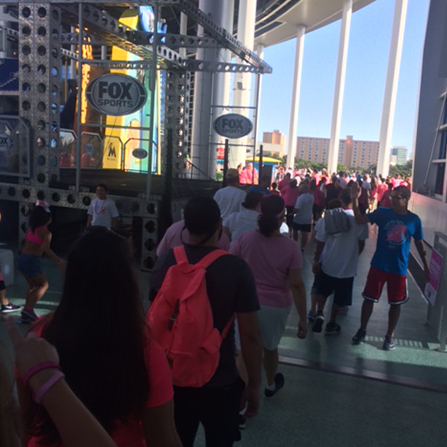 The event was inspirational.. Marlins stadium was blanketed in a sea of pink, with more than 10,000 people in attendance. This included volunteers, walkers, sponsors, various organizations, and of course, the brave survivors. The survivors gave amazing performances, as well as speeches and stories of their courageous battles with cancer. 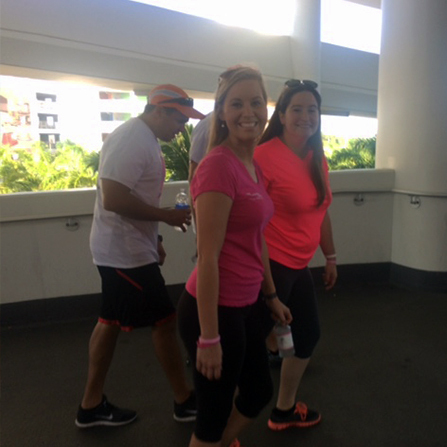 The Corradino Group had an amazing team building experience while supporting a great cause!